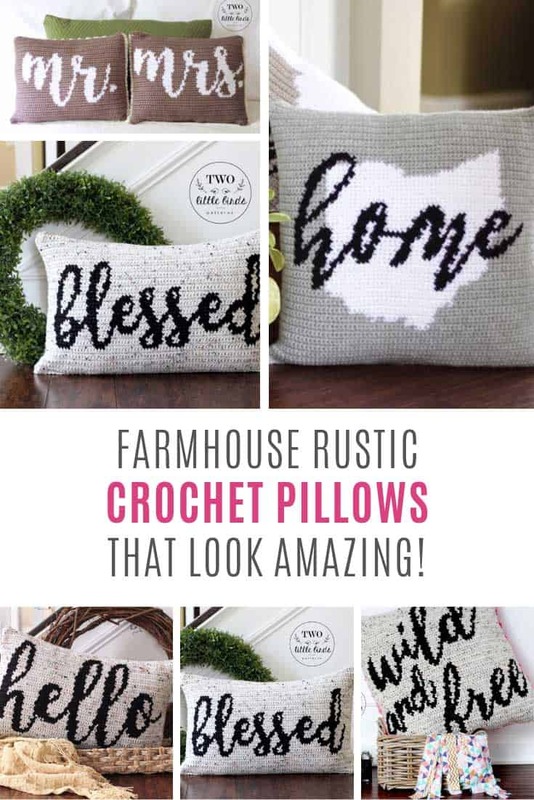 If you love rustic decor you are going to love these farmhouse tapestry crochet pillows. They make unique homemade gifts too! 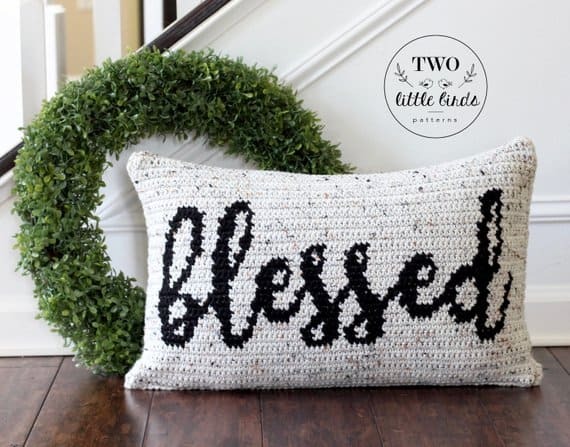 Just before Christmas I shared this gorgeous pillow pattern and everyone loved it so much I thought I’d feature some more of the farmhouse tapestry crochet pillows from the same Etsy store – Two Little Birds! Emily is the creative genius who dreams up these fabulous patterns and she’s a stay at home mom of two beautiful girls! Don’t worry if you’ve never tried tapestry crochet before because in each of her patterns Emily includes a detailed tutorial to show you just what to do. 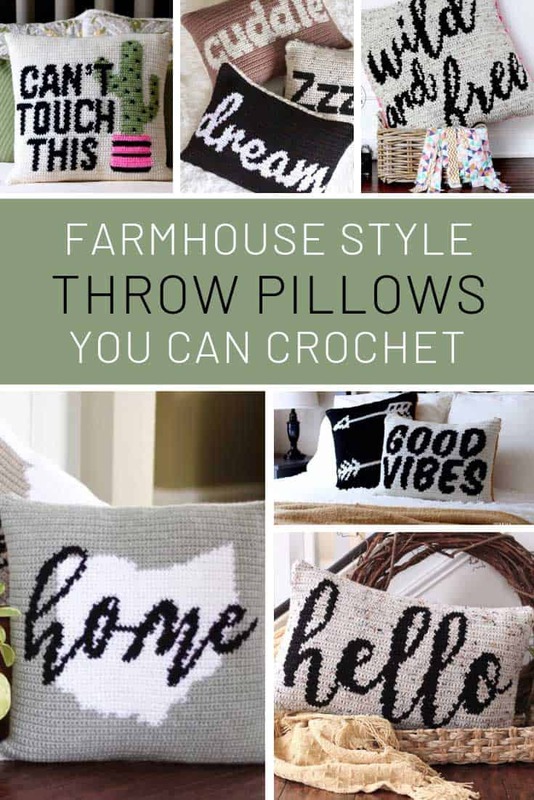 If you love farmhouse, rustic style home decor you’ll be channeling your inner Joanna Gaines in no time with these wonderful designs. And they make fabulous gifts too for weddings, graduations and even baby showers! This farmhouse inspired rustic design is a beautiful way to show your gratitude for the good in your life all year round. Of course it would be the perfect fit for your Thanksgiving decor too! 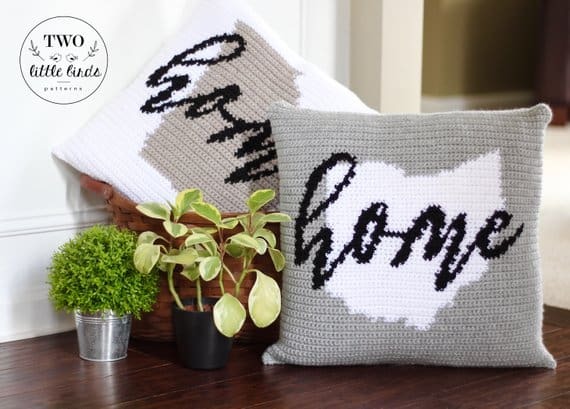 If you’re looking for a unique wedding or housewarming gift then how about this pillow pattern which has the word home written across the state! The pillow is made using the Intarsia crochet technique and there’s a detailed tutorial in case you’ve not done it before. 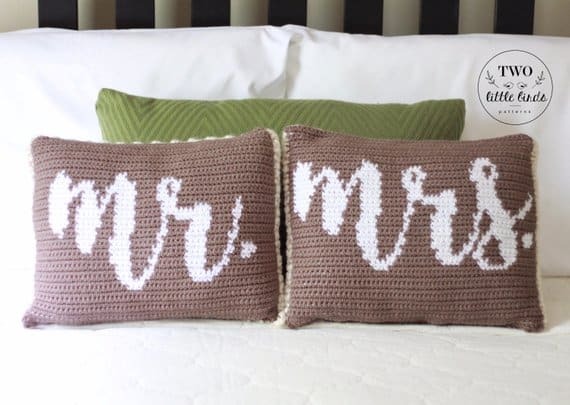 Ah here’s the perfect wedding gift, a pair of pillows for the new Mr & Mrs! 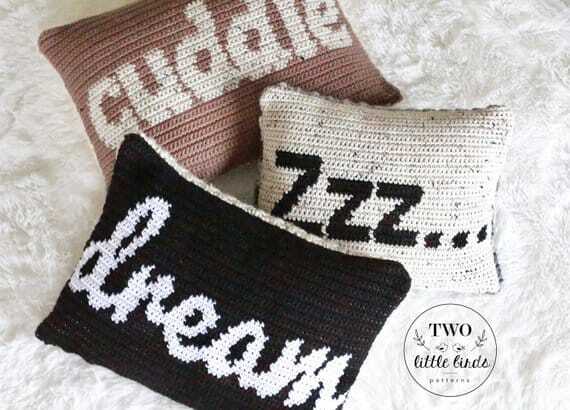 I love this set with the dream, cuddle, and Zzz…. tapestry designs. The perfect gift for someone who loves to sleep right? They’d also be beautiful in a nursery, especially if you used soft pastel colors. 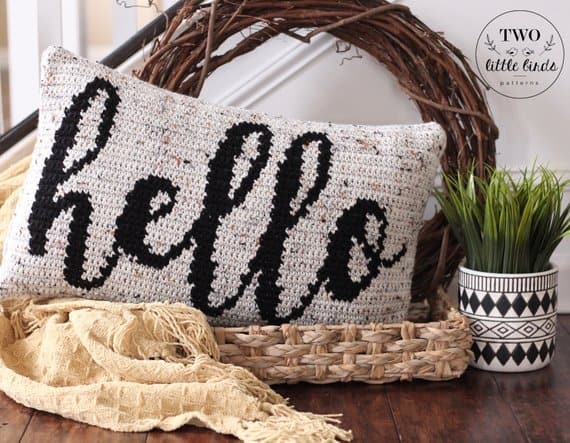 This “hello” tapestry pillow is the perfect addition to your farmhouse decor and sure to make any guest feel welcome. 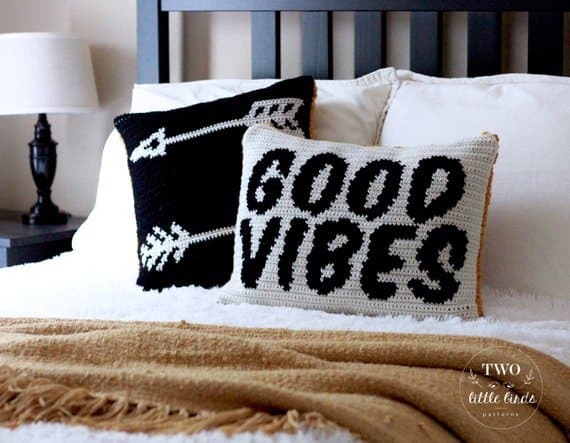 These “Good Vibes” and arrow design pillows are the perfect pair and look great on your bed or your couch! 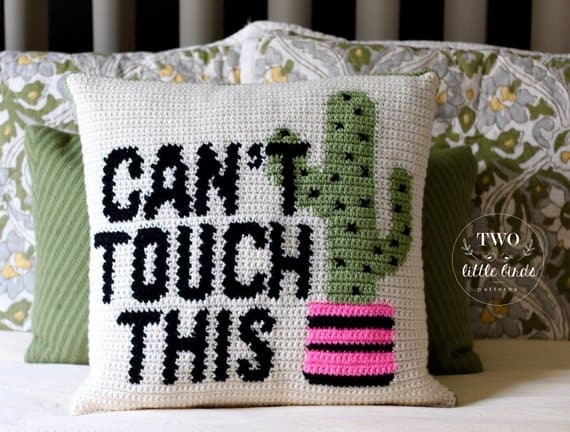 I’m going to show my age now because as soon as I saw this cactus pillow my brain started singing MC Hammer’s Can’t Touch This…! It’s sure to make your guests smile when they see it! 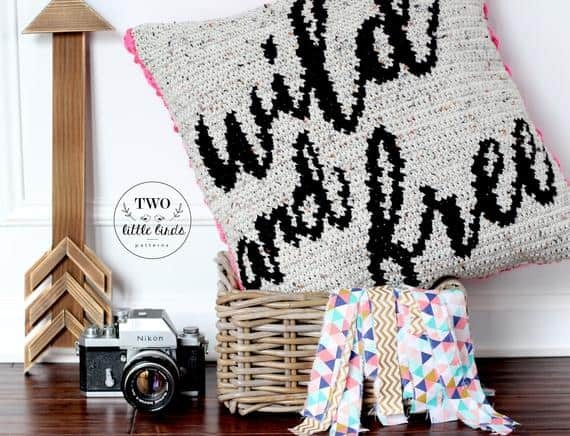 These boho style pillows with the “Wild and Free” and feather designs are the perfect addition to a woodland nursery. I love the bright pink yarn used on the reverse side, but of course you could use any color you like! Previous PostPrevious 15 Awesome Sewing Projects for the Home to Make You an Organization Genius!